Without a pause – I’m lowering my level! Here it is good people, the second instalment of two Bank Holiday Weekend Pod-Casts. Part Two is a very special edition as I have dedicated the entire episode to a Hip-Hop Legend and one of my favourite producers…EVER! Otis Jackson Jr aka Madlib The Beat Konducta is simply a genius. 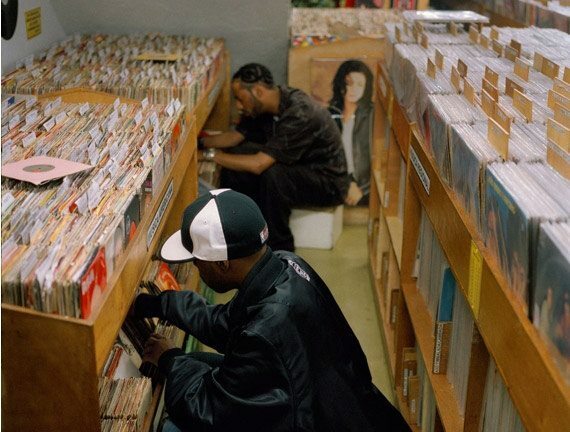 Back in ’99, it was a Friday, it was pay-day, which meant first stop to my local record shop to purchase the latest vinyl releases for that week. While browsing, I came across “Lootpack – Soundpieces: Da Antidote”. Triple vinyl plus a free 7″ single on Groove Attack Productions, so as a wax junkie I bagged it without listening, took it home put the needle to the groove and the rest is history. I couldn’t tell you what other records I bought that day and I believe I have every single Madlib release since…”Soundpieces” is simply a masterpiece. Having an incredible back catalogue of music, you can imagine how difficult it was for me to compile this selection, weighing in at two hours, twenty one minutes and twenty seven seconds of pure heavyweight Beat Konducta magic. All tracks either produced/remixed/vocals by Madlib aka Quasimoto aka DJ Lord Such and also featuring Peanut Butter Wolf, Percee P, Tha Alkaholiks, Common, Mos Def, Nas, Mamao,Gang Starr, Erykah Badu, Georgia Anne Muldrow, Talib Kweli, Aloe Blacc, Freddie Gibbs,Declaime, Guilty Simpson, Inspectah Deck, Pharoahe Monch, Kazi, Living Legends,Slum Village, De La Soul, Blu, John Robinson, Zero 7 & J Dilla R.I.P. Please Feel Free to Share & Spread The Love. Peace & Blessings. Link after track-listing: ENJOY!